Our customers can choose from a variety of moving services we have to offer. You bought a new house and cannot wait to move but are overwhelmed by the amount of furniture you have to remove? Just call as and we’ll set up a date and help you transport your items. Or maybe your company is relocating to a bigger office? You can trust us with your office equipment and tech items – our movers have a vast experience in transporting fragile and expensive items. All of your belongings and items will be handled with care. We guarantee safe transportation. Our movers put in additional effort in securing the items when loading them in the van and arrange them in a way that virtually eliminates the risk of transportation damage. In addition to our relocation services we also offer collecting furniture and appliances from a specified store or address and delivering them to you. Whether you bought a new kitchen table in IKEA or stole a bargain on eBay our moving company is prepared to pick up and deliver fast any items you ask us to. The offer includes construction material delivery as well. Perhaps your business generates a lot of just or you undertook general renovations at home and ended up with a pile of rubbish? Don’t worry – call us and we can take care of that. Our movers are specially trained to deal with waste disposal and you can trust us to have it removed in fast and eco-friendly manner. Our removal company can boast that all of our employees are highly trained professionals. They’ve undergone various qualification courses and visit mandatory periodical qualification improvement seminars. Call us today and our customer support team will gladly take your order or give you additional information about our prices, method or time frame of work. They will also gladly help you in the not likely event of issues with our services. Our operators are prepared to offer you a personalized service adjusted to your needs and requirement that naturally includes individualized payment. Our prices are not the lowest on the market, but they are as low as you can get without having to sacrifice any quality. You can reach out to us every day of the day, 24 hours a day via phone or email. 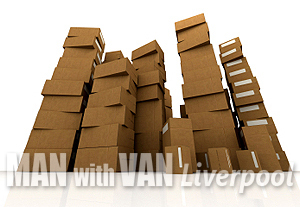 So don’t wait – seek out the best removal services in Liverpool today. You won’t be disappointed. With our dedication, fair prices and quality services we’re not simply the best choice – we’re the only one.